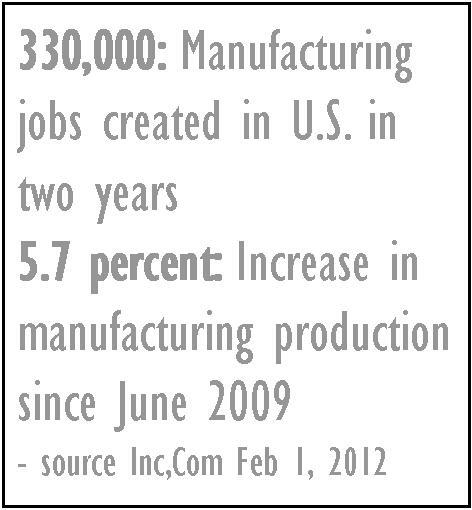 Between 2009 – 2012 there has been 330,000 manufacturing jobs created in the US and a 5.7% increase in US based manufacturing production according to Inc Magazine. Real Girls, a lingerie brand located in Long Beach, CA, prides itself as being one of the few lingerie companies whose product is Made in America and proud to be part of the Made in USA manufacturing expansion. Made in America products has always been a symbol of a quality. Real Girls strives to be recognized as a company that produces quality lingerie that has a superb fit. From the beginning, we had always wanted our product to be made in the USA. Although it was not a direction we wanted to go, when the company began looking for their initial production run, overseas production was considered. We quickly learned that it was not a direction Real Girls would pursue. When evaluating the sewing costs there was a very small savings producing foreign made products. The cost of choosing foreign apparel manufacturing, specifically increased shipping costs and customs charges, would reduce, if not eliminate, any saving. But the largest hindrance to foreign manufacturing is the distance, which creates a lack of involvement from the clothing line. If the product was made incorrectly there are few options for correction, you either offer an a poor quality product and pretend not to notice or redo the entire production run and pass those costs on to the consumer. All Real Girls brand lingerie is made in America (Los Angeles, CA), about 15miles from our headquarters. The close proximately has allowed us to participate in the production process, ensuring sizing is maintained and quality is monitored during the entire process, any problems were corrected and the customer reaps the benefit of quality apparel. If we had proceeded with overseas production, we would have sent raw materials and received finished lingerie with no participation during the manufacturing processing, then hoped for the best. Manufacturing locally reduces the anxiety and potential pitfalls during the sewing process. Real Girls fabric, notions, and other apparel supplies are all purchased from US Based companies; these items maybe produced overseas.